Here are books 21 - 30 of my Goodreads reading challenge. I love Les Miserables and the character of Eponine so this book was right up my alley. I was lucky enough to get a hardback signed copy of this book also, which made it even better. This is basically an insight into the life of Eponine from childhood to her untimely death. 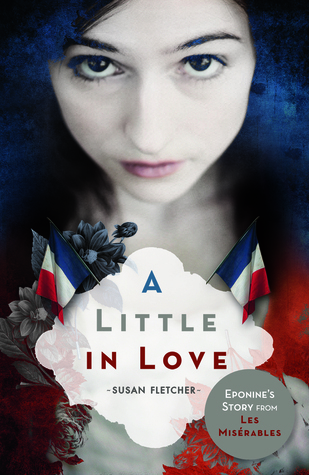 What happens when Eponine falls for the same boy as her families former slave Cosette? Will she sacrifice everything she has for a chance at true love? This was amazing! It gave me a bigger insight into Eponine and made me love her even more, even though I knew the ending was going to bring me heartbreak. Any fan of Les Miserables needs to read this. I've become more intrigued by feminism over the past few years and thought that this book would give me an insight into it, which it certainly did. This book looks at feminism from a light hearted, funny point of view. 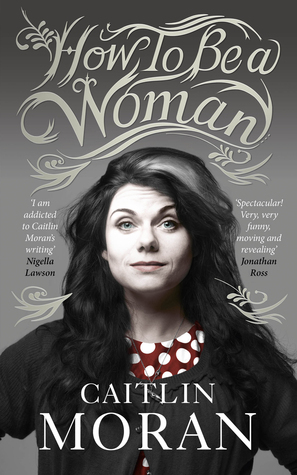 Caitlin puts her views across in a comedic way, and also enlightens us about her life as a woman growing up. It's a great read if you are new to feminism and I'd certainly recommend it. I love Giovanna's books! I absolutley adored Billy and Me and You're the one That I Want, so it's no surprise that I also loved Dream a Little Dream. 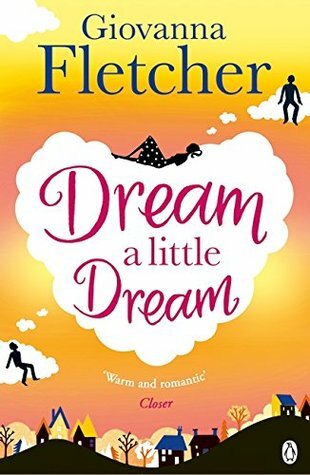 Dream a Little Dream follows the story of Sarah who is plodding along through life, despite being single, in a job that she doesn't actually like and feeling like a disappointment to her mother. So when she starts dreaming about a handsome stranger, she begins to start looking forward to falling asleep and escaping reality. But what happens when her dream stranger makes a real life appearance? This book is so heartwarming and had me laughing, crying and really feeling for the characters. Giovanna has a really unique style of writing and really cannot wait to read her next bestseller. I'm a sucker for a young adult vampire novel, so I couldn't resist picking this up after seeing it in my library. Its quite a short book and is part of series. The Drakes are vampires and some of them date back to the twelfth century. One of the children, Solange is the only female vampire known, so poses a threat to the vampire queen. Her closest friend Lucy is a human and when Solange is kidnapped it is down to Lucy and Solange's brother Nicholas to save her. Lucy soon discovers that she's falling for Nicholas, but how can she date a vampire? Especially her best friends brother? 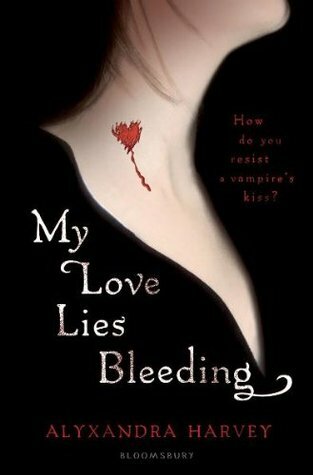 I did enjoy it, and it was a quick read, but it was lacking a spark that I usually find with other young adult vampire novels. Not sure I will be reading the sequel anytime soon. Jenny Colgan is my go to author when I fancy reading a bit of chick lit. I'd go as far as to call her the queen of chick lit. 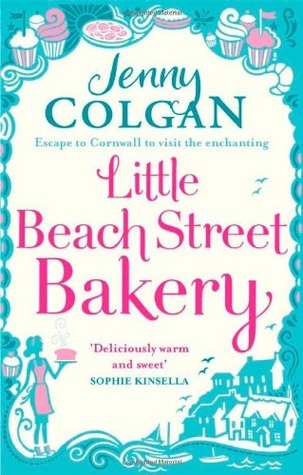 I've loved all of the other books of hers that I've read and Little Beach Street Bakery is no expectation. Recovering from a toxic relationship and unable to afford her flat, Polly moves to the seaside town of Mount Polbearne, where she lives alone above an abandoned shop. To let out all her frustrations Polly soon starts making bread. What was first a hobby, becomes something else as with each loaf her talent rises. Causing her life to somewhat soar. This book made me so happy and I really did fall in love with the fictional town and all the characters in it. 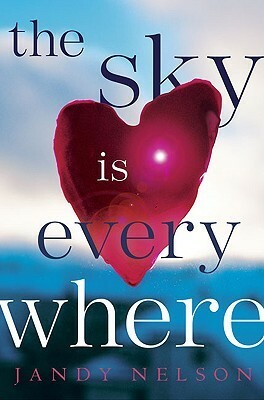 The Sky is Everywhere is the debut novel of Jandy Nelson. Lennie Walker is a self confessed book lover and band geek and spent her time in the shadow of her older sister Bailey. However, when Bailey suddenly dies, Lennie is forced to centre stage and to take control of her life. She soon finds herself struggling to choose between two boys, Toby - Baileys boyfriend and Joe - the new boy in town. One boy takes her out of her grief and the other comforts her in it. What will happen when they collide? 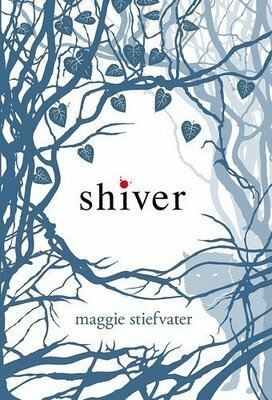 I loved every page of this book, I found it to be heartbreaking, emotional, but also rather joyous. It's a great debut novel, by an author who I know is going to go places. This was a 'blind date book' that I picked up in an English book store when I was out in Amsterdam in July. I was shocked when I opened it up to find that it was by an author I loved! I'm not one for RPG's but I love a good coming of age of story. Fifteen year old Perry is obsessed with Creatures and Caverns a role playing game full of fantasy and magic. Concerned that Perry lacks social skills, his mother sends him off to summer camp to potentially become a man. 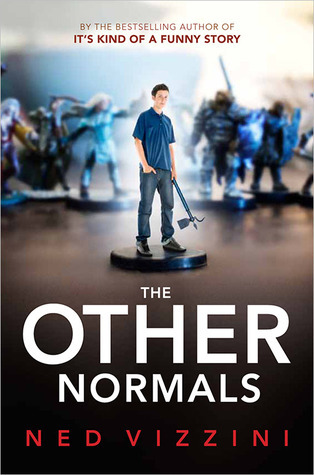 However, when he gets to camp Perry stumbles into the world of 'The Other Normals', there he meets the creator of Creatures and Caverns and other characters from the game, including the beautiful Ada Ember. They needs Perry's help to rescue a princess and as they embark of their quest Perry realises that his nerdy tedencies can make him a hero. But to save the princess Perry must also make connections in the real world. This was a great mix of fantasy and coming of age and although I was worried I wouldn't like it at first, I was soon sucked into Perry's world. It had me hooked and I'm so glad I had the chance to read it. I'd heard a lot of hype about this particular book, so was really looking forward to delving into it and I certainly wasn't disappointed. For many years Grace has watched the wolves in the woods, behind her house and one yellow eyed wolf in particular is a presence she cannot live without. Sam has lived two lives, in the winter he's a wolf under protection by his pack and in summer he's a human, until the cold comes to cause him to shift back into a wolf. In the present day Grace meets a yellow eyed boy, who turns out to be Sam - her wolf. As winter comes, Sam must prepare to fight to stay human and to keep Grace in his life. 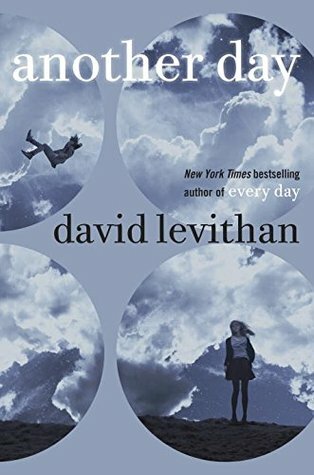 This is a perfect young adult read! I fell in love with the story concept and the writing style of the author almost straight away. I was pulled into the world of Mercy Falls and I didn't want to leave it. To be honest I felt rather disappointed as I turned to the last page. Another Day is the story of Everyday, but told from Rhiannon's point of view. I loved Everyday, so was rather intrigued to relive the story again from another point of view. Everyday is the same for Rhiannon and she's accepted that. She tries to convince herself that she deserves her moody, rather distant boyfriend Justin. However, one morning she notices a change in Justin. He wants to be with her, he seems interested in her. Something that Justin doesn't remember the next day, causing Rhiannon to question everything, until a stranger tells her that the Justin she spent that perfect day with wasn't him at all, causing Rhiannon to go on a journey to discover the truth about how love can change you. This was the perfect companion to Everyday and I was so interested in Rhiannon's life, and how she slowly started to fall for A. It was honestly amazing and if you have read Everyday you need to read this. 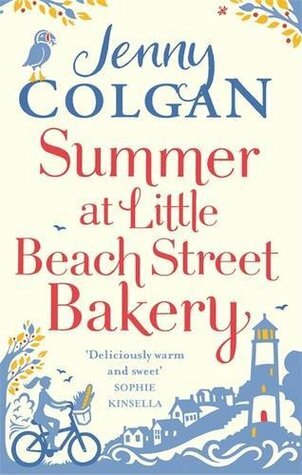 Summer at Little Beach Street Bakery is the follow up to Little Beach Street Bakery, which I loved! I was really looking forward to getting stuck into this book and into the world of Mount Polbearne. Summer has arrived in Mount Polbearne and for Polly life couldn't get any better. She's in love with the town, her boyfriend Huckle and her bakery. However, when recently widowed Selina shows up, things start to become unsettled. Polly has a secret that could destroy her new friendship with the widower. Also, responsibilites that Huckle left alone have come back and Polly is finding it hard to cope with his long periods of absences. Is Polly about to loose everything she loves? This was a great summer read and yet again I longed to just get up and move to Mount Polbearne. All my favourite characters were back, and I become so immersed in their stories that I soon felt like they were friends of mine. A great summery read for anyone and I promise you will fall in love with it, just like I did! Books 31 - 40 will be up very soon!